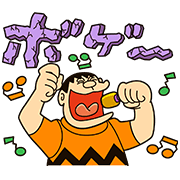 LINE PokoPoko teams up with ”Doraemon the Movie 2019” for a special sticker collaboration! Just clear 7 new stages in LINE PokoPoko to get the set! 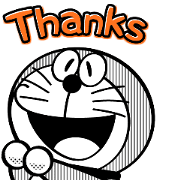 Give your chats that special Doraemon touch with these adorable pencil-styled stickers! 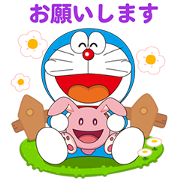 No need to dig too deep into Doraemon’s pocket for that perfect message—this set’s filled with plenty of handy phrases for all sorts of situations. This robot cat may be from the future, but that doesn’t mean he can’t party like it’s 2017! 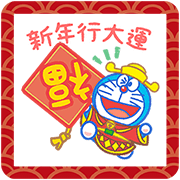 No special gadgets necessary here—just get this set and join Doraemon, Dorami, and the Mini-Doras for plenty of New Year fun! 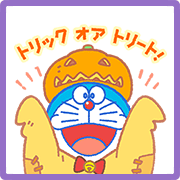 Fall is full of fun times and Doraemon’s got you covered for all of them! He’s even managed to sneak in a few seasonal wordplay jokes as well. This robot cat may be from the future, but that doesn’t mean he can’t party like it’s 2017! 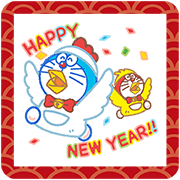 No special gadgets necessary here, just get this set and join Doraemon, Dorami, and the Mini-Doras in the new year fun! 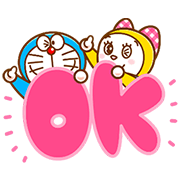 Keep it simple and sweet with this monotone sticker set from Doraemon!This set is packed with plenty of helpful phrases and fun animated moves for you and your friends to enjoy. Get your message out nice and clear with big letters from an animated Doraemon! You’ll have access to plenty of handy phrases for a variety of situations with this set. 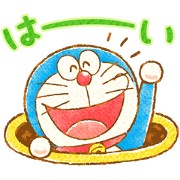 Don’t delay, start messaging with these cute Doraemon stickers today! Gian, or the Big G, knows how to take what’s his. Now you have the power of the bully too in this new sticker set!